We all want to be as “free as our hair,” but it’s not so easy when we’re feeling weighed down by flat strands, stagnant waves, stubborn frizz and quite literally heavy styling tools. For many of us, our hair is a part of our identity. We style it to represent our personality and see it as part of our outfit. Some of us just want to reduce drying time and make the process as quick and painless as possible. No matter how we view our hair, this is the tool that’s going to help us defeat our post-shower woes and make washing our hair a feel-good experience, not a dreaded chore. The Harry Josh Pro Tools Pro Dryer 2000 truly helps us see the difference a professional-grade, made-in-France hair dryer can make in our life. Once we’re rid of burning smells, heavy handling and a resulting sideshow of static, we can discover how every day can be a good hair day without an expensive and time-consuming trip to the salon. 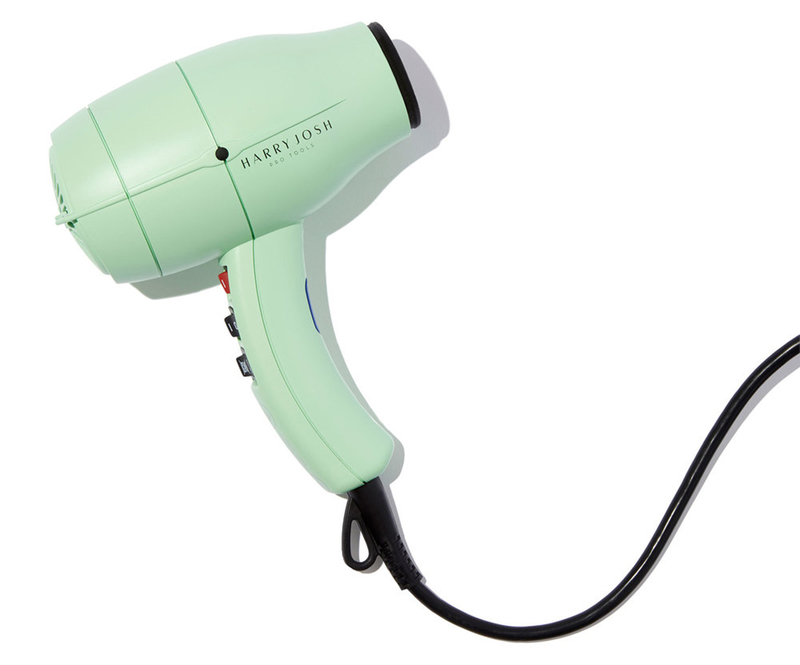 Now is the time for that discovery, because this famous hair dryer is on sale! 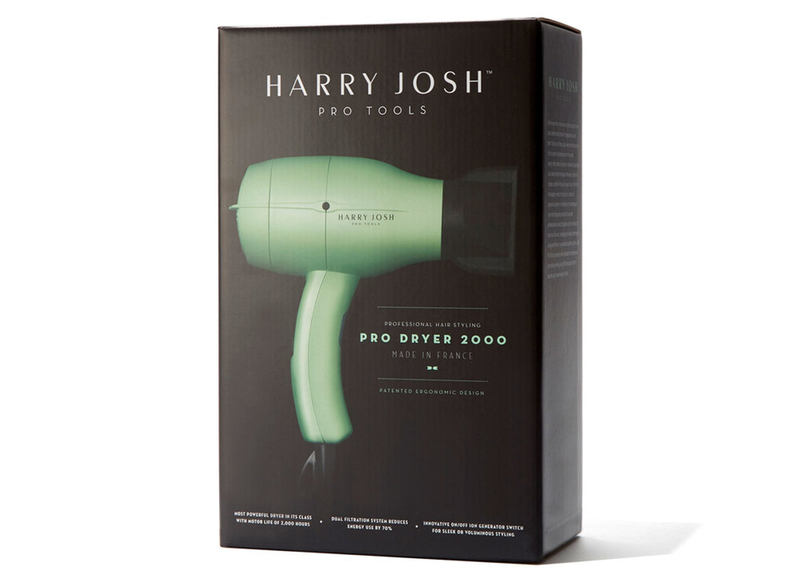 See it: Get the Harry Josh Pro Tools Pro Dryer 2000 (originally $249) for just $199 at Dermstore! Also available at Amazon and goop! With almost 400 reviews on Dermstore, we had to see what shoppers were saying. One self-proclaimed “hair care junkie” assured that this device truly does “live up to the hype.” They said that after using it, they look like they “had a professional blowout.” Is such a thing truly achievable? According to others, the answer is a resounding yes. One shopper called this dryer a “life changer” while also making sure to comment on its “very cute” minty green color. Another called it the “quickest dryer” they had ever owned, while one pointed out how much they love the “super long” cord. This means we won’t be glued to the wall or contorting our body like circus acts just to reach our roots! This award-winning hair dryer claims to blow air at over 80 miles per hour, saying it’s the “most powerful dryer in its class.” It has a 2,000-hour AC motor, 1875 watts and 125 volts to ensure power that lasts a long time. Harry Josh claims that with all of this power, this dryer can cut hair drying time in half! No one dryer should have all that power. Just kidding, it definitely should. Worried about such a powerful tool causing even more damage to our hair? Fear not! This dryer may actually end up preventing damage, since we’ll be spending “significantly less time” blowing heat onto the same sections of our hair over and over again. This dryer also uses dual ION technology, which may leave our hair looking sleek and voluminous with “maximum shine.” Another great thing about this powerful dryer is that it actually claims to reduce energy consumption by up to 70% with its dual filtration system! Don’t think that just because this dryer is powerful that our entire blow-dry session is going to feel like we’re caught in a tornado. It has eight heat, speed and ion settings so we can customize our routine to fit our hair type and desired style. It also has a cold shot button, of course, which we can save for the end to lock in shape and keep frizz banished. We can also use the cold shot to blast some air into our face when we’re falling asleep trying to get ready before work. Just saying. So versatile! This lightweight and ergonomic hair dryer not only comes with a two-year warranty, but two nozzles as well! It has both a narrow nozzle concentrator and a wide nozzle concentrator, which we can use to target and style specific areas of our hair, concentrating the heat for a quicker and more precise dry. So, what tips can we use to achieve our at-home, we-woke-up-like-this blowouts? Harry Josh has got our back. The brand recommends using a nozzle to start at our roots and work our way down to our ends for added volume. It says to take our time, which won’t be much time at all, so we can save ourselves from having to seal down flyaways and frizz afterward. The brand also recommends using a boar bristle brush and always following the direction of the hair cuticle (downward) to avoid breakage and snagging. We never thought we’d say this, but with this hair dryer on our minds and soon perfectly fitting into our hands, we actually can’t wait to wash our hair. Who even are we anymore? Guess that’s the power of Harry Josh! Need something else? Check out more Harry Josh products here and other styling tools at Dermstore here!